Ramsay real estate is beautiful, offering a gorgeous collection of unique single-family homes in a phenomenal location. With downtown less than two kilometres away and the Stampede grounds next door, real estate in Ramsay is perfect for action-driven individuals who want exceptional access to work and play. Better still, Ramsay’s houses and full-sized properties allow homeowners a comfortable suburban lifestyle in an exciting urban setting. Discover your dream home in Ramsay below or learn more about this outstanding community! The stunning real estate in Ramsay allows homeowners to choose from a wide array of fantastic houses. Ramsay is one of the city’s oldest communities and consequently has a rich selection of both century-old character homes and brand new modern infills. The new houses tend to be exquisite luxury homes, while the older homes offer affordable starter or mid-range options, though there are exceptions in both categories. Ramsay gives homeowners the unique opportunity to live in a beautiful home close to a plethora of desirable downtown amenities. 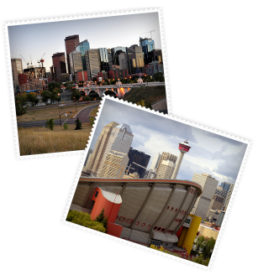 Ramsay is located right beside the Saddledome and Stampede grounds, giving homeowners phenomenal access to all the events, attractions, and celebrations hosted at these venues. This alone allows Ramsay residents to enjoy a wonderful quality of life, rich with activities close to home. But for those who crave even more, the downtown shopping and entertainment district is just moments away, and always ready to indulge Ramsay homeowners. Next, to the Stampede Grounds, the Repsol Centre is another excellent amenity. This members-only club boasts state-of-the-art fitness and aquatics facilities, including a wide range of personal and group programs. The Repsol Centre has become an iconic venue for athletic training and fitness. The Calgary Real Estate Advantage team can introduce you to Ramsay real estate & other fantastic home ownership opportunities in Calgary’s vibrant SE quadrant. Call 403-968-1496 or message us online to get started!